Mesic Contracting LLC has been improving and restoring our customers’ homes and businesses since 1992 with over 25 years experience in the construction industry and is committed to giving his customers quality service. Mesic Contracting LLC can service all of your insurance, residential, commercial and manufactured housing needs. Our services range from manufactured home repair, leveling, foundation work, awnings, roofing, skirting, painting, and much more! If you’re curious about our work, contact us on this page to receive a FREE estimate ! Our owner and his staff hold a one day instructional event each year teaching and training the staff of some of the most well known insurance companies around the valley in the construction techniques, codes and how they relate while adjusting a loss in a manufactured home. 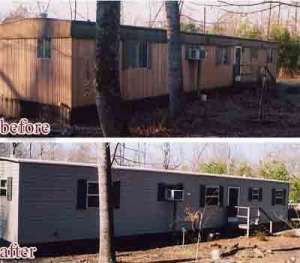 So when you are searching for an expert to repair your manufactured home, call Mesic Contracting LLC. Over the years, Mesic Contracting LLC has become known as the valley’s go to expert for all things relating to the repair of the manufactured home. Many well known insurance companies seek Mesic Contracting’s expertise when adjusting an insurance loss in a manufactured home. We provide all around care for your manufactured home, including repairs, leveling, foundations, awnings, roofing, skirting, painting, and more. We service the Phoenix Arizona and surrounding areas, including Peoria, East Valley and Tuscon. We at Mesic Contracting LLC have extensive knowledge in dealing with your insurance claim. Whether it’s a water loss, fire loss or storm damage our staff will handle your claim with the utmost professionalism to ensure the successful completion of your repairs. We understand that when you are experiencing a loss that it is a complicated and difficult issue. We will work with your adjuster to resolve the claim and get your home repaired in a timely manner. NOTE: This coupon must be presented at contract signing.